MaeSa Waterfall is small waterfalls and the most interesting as these were more photographable and had interesting shapes. 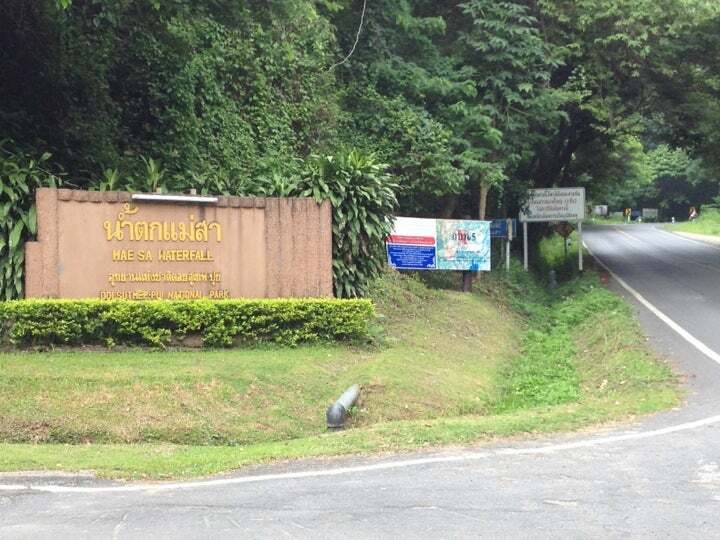 Located at Km 7 on the Mae Rim - Samoeng Road. Why Maesa Waterfall is special ? The Mae Sa Waterfall is small waterfalls and the most interesting as these were more photographable and had interesting shapes. 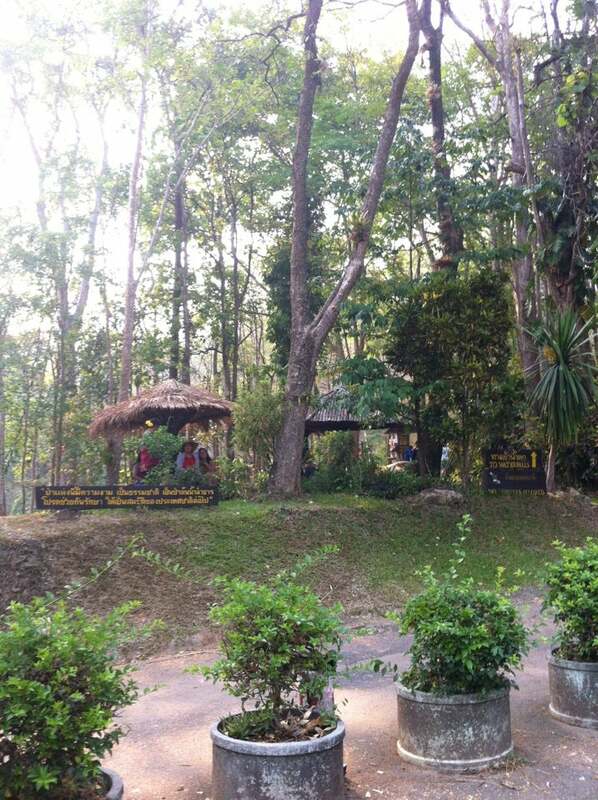 Located at Km 7 on the Mae Rim - Samoeng Road, 26 km from Chiang Mai city. This spectacular eight tiered waterfall occupies a natural setting among gigantic trees providing a cool shade. A narrow path winds up through the jungle along the 8 levels of the waterfall. Mae Sa Waterfall is a popular recreation spot for locals and tourists alike. The park can get crowded on weekends and public holidays, so it is best to visit during the week if possible. You can go to the waterfall by Songthaew from Chiang Mai city, ask at your hotel for details. What to explore at Maesa Waterfall? The waterfall has 10 levels with an waterfall each which makes for an entertaining walk. Along the trail and around the waterfalls you can see bright butterflies, trees, plants, and other nature stuff. The walk is easy, the incline isn't too steep. The locals usually bring a picnic mat and set up at their favourite waterfall and dip their feet in the water. Some swim too in the higher level waterfalls. There are nice places to sit and eat or have a picnic as well. You can hire picnic equipment at there or you can bring from your home. However, you should keep a clean environment in the beautiful place. How to get to Maesa Waterfall? By Bus - Mae Sa Waterfall is about 26 kilometers north of Chiang Mai on the Mae Rim-Samoeng Road. A number Songthaews are available from the city to the waterfall. You can bring some food and drinks or you can buy food there to have a picnic. You should bring your camera to caught the spectacular sightseeing of the beautiful waterfall. You should definitely bring your bathing suit and some clothes to change in case you can get wet. You should bring suntan, repellent to save your health. You should wear the comfortable shoes to walk easily. Visitors should park the car at parking lot no. 3 which is located in front of the trail to the fall. Fantastic scenery and beautiful waterfalls. Difficult to find all the walking trails and can be hard going in places... I suspect we got lost! We rented motorbikes and hit the road (using the free app "maps.me" for offline navigational maps), we got there in less than 20 minutes, we parked in the car park #3, the water falls are very accessible (not for wheelchairs), the "track" is made of concrete with steps, you can easily reach the first 7 levels in no time, the next ones are as easy. Level 10 was reached very quick, if you are adventurous you can continue (just go under the fallen bamboo trees) after the track is finished over the rocks along the river. we had a dip in the water and it was refreshing. After leaving the water fall we hit the road again to the Chiang Dao caves that are 60 km further north, the road was in perfect condition almost straight line-double lane road, the only 1k contains curves but the road is wide and driving is easy. Don't spect a long trek to the top of the waterfalls. Fees are 100 TBH per person and 20 TBH for each motorbike. food, water and drinks are available at carpark #3, they even provide picknic basket to take the food up the waterfalls.